Fortunately, the title of this post is NOT referring to snow on the ground [in fact, all of the snow is gone - and I hope it stays that way]. Two of the three amaryllis buds have finally bloomed. 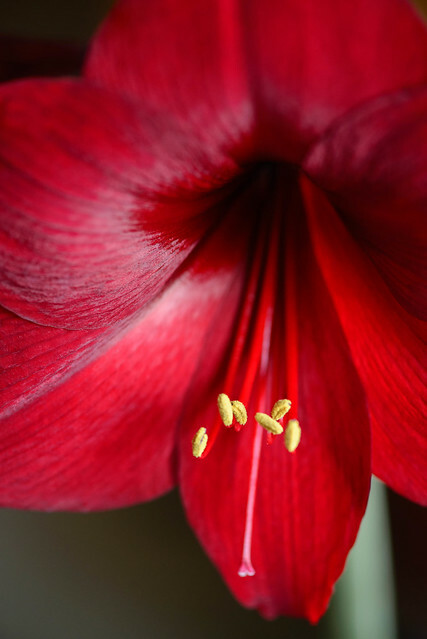 The flowers' velvet petals and rich color remind me of Christmas - which is the normal bloom time for this bulb. 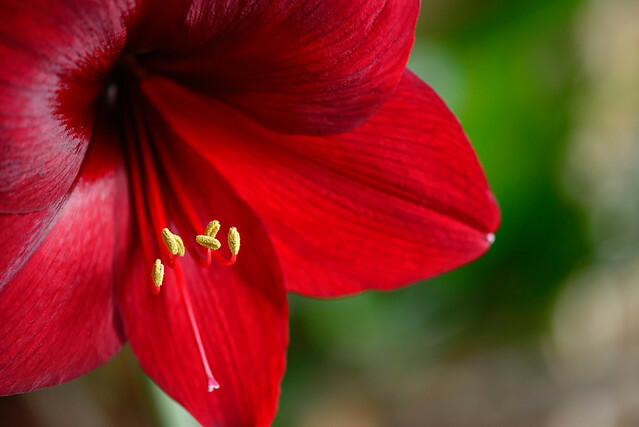 Outside, I haven't seen any evidence of Spring Flowers - I'm sure that will change over the next weeks, but for now, a Christmas flower will have to do. I saw a few Daffodils today - yeah! These are brilliant shots.